Some time back I wrote this essay. Many references within are Blue-Heron-Land specific, but you should get the picture. Since writing this, I have shopped for and bought a new mattress. I correctly guessed, just by being in the store, which chain featured the annoying jingle cited below. The sales people were car-salesman pushy, and their shell-game pricing made my skin crawl. To answer their jingle’s question: you lost me from hello. When that insipid ditty from a TV commercial popped into my brain last week in the middle of grocery shopping, my first reaction after annoyance was one of gleeful spite. Despite the effectiveness of the jingle writer to get the irritating tune stuck in my head, I couldn’t for the life of me tell you the name of the furniture store that paid good money for the ad campaign. But then I realized that without knowing the name of the furniture company, I might accidentally buy a mattress from them. I could inadvertently contribute to the greater banality of society. Like any good contrarian, I try my best to vote with my dollars. No purchase is made without a very involved and contorted balancing of values — of both the conscience and pocketbook variety. I’m always on the look out for an organic, shade-grown, cruelty-free, quality-made widget from a local, family-owned, environmentally-sound, fair-labor company with no ties, historic or otherwise, to Nazis, apartheid, third-world baby-killing, or Bill Sizemore, all at one low price-point. Into that convoluted calculus throw in my desire to punish over-reaching advertising. My instincts tend to view advertising suspiciously — corporate America trying to manipulate me into a consumption choice based on something less than meritocracy. So, when the spirit moves me, I swing my quixotic lance at products and services backed with gargantuan advertising budgets and I even carry delusions that my shopping choices subvert the dominant paradigm. With conventional billboards I usually avert my eyes as if they were Medusa. Murals pose a tougher call. I kind of like the Thomason cherubs at the downtown end of the Morrison Bridge and I miss waiving to the six-story Altoids devil-woman that used to watch over my commute down I-5. So I won’t reject mural advertising out of hand, but my personal opinion and spending habits are not subject to the First Amendment or Oregon’s Constitution and I reserve the right to discriminate based on content. For content is the basis for much of my discrimination in the omnipresent ads. Radio, TV, pop-up browser windows, movie previews, urinal stalls. It’s an advertiser’s world and we just live in it. But their products start acquiring backlash points quickly. Insipid tunes, bad acting, manipulative statistics, intrusiveness, stupid writing, crashes to my browser — just remember, I’m taking notes. When advertising misses its intended goal to get me to buy a product and instead produces in me a conscious backlash, I refer to it as adverse-tising. “They’ll rue the day they adverse-tized that commercial around me,” I’ll say. And when I stand before the grocery I’ll enter it into my mental consumer calculator. Now, if only I could remember which brand of beer has those obnoxious twins. Though I’d like to think differently, advertisers are on to people like me. I’m just a factor in a calculus of their own. If the ad brings in more buyers than it turns away, it’s a success. Advertisers have always been wary of creating adverse reactions through their advertisements. That type of mentality led to TV shows where Gilligan and the Skipper had a more intimate sleeping arrangement than Mr. and Mrs. Howell. My reaction isn’t any sort of William Bennett American values crusade. Mostly, I just want ads to leave me alone, though I wouldn’t mind better copy. When I was a teenager I read some statistic that a certain percentage of viewers will find any particular TV commercial offensive. That stat included a base percentage of viewers who find all commercials offensive. Back then I wondered how anyone could be so cynical. Now I wonder how I got to be like that. 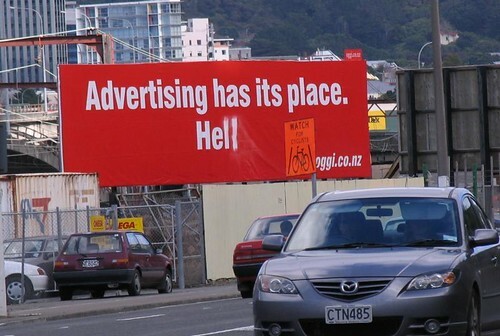 After a lifetime of advertising, is it any wonder? It beats picking cotton and waiting to be forgotten. Long before I saw the above lyrics in writing, I crafted my own last line out of Paul Westerberg’s garbled vocals. With a piece of paper cotten, waiting to be forgotten. To me, the “paper cotten” was a diploma. It’s an admittedly awkward construction to get to a rhyme. The more accurate “cotten paper” would describe a higher grade paper that a diploma might be printed on. The diploma reference dovetails nicely with the “graduate unskilled.” More importantly, it Westerbergianly states that no diploma will save you from being forgotten. Compare this to the consensus lyric, where the unskilled graduate narrator a) will not be doing hard labor and b) will not be the one who is forgotten, it’s the cotton-picker that will be. On relisten, I concede that the consensus lyrics are correct, but I like mine better. But who I am to second guess the epistles of St. Paul. “Jerries” are all my friends from the Fargo-scape. Jerries are named after Jerry Lundegaard, the delusional passive-aggressive schemer in Fargo played by William H. Macy. Jerries are my friends from high school or from the college days at good ole Jerry State University. Maybe I’ll have more about the Jerries sometime down the line.